As the BREXIT vote nears, capital is starting to jockey for position. The euro has made an outside reversal far to the downside on a daily basis, and it is now likely that the week of May 30th will see the highest weekly closing at 11362. 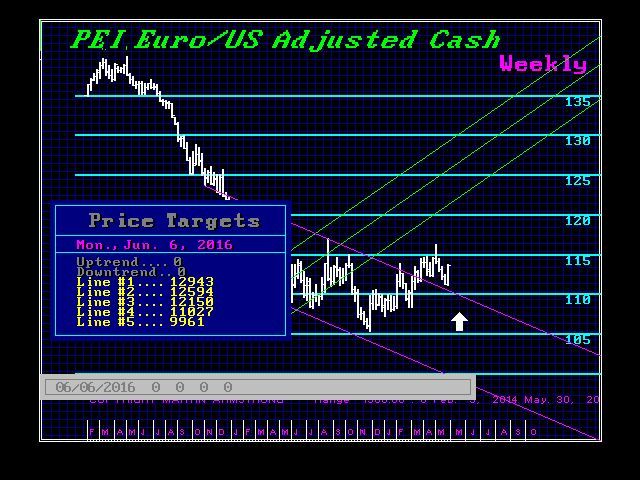 At the time of this posting, the euro has fallen to 11307 from a high of 11393. We can see that we have a turning point next week ahead of BREXIT. The market normally moves in anticipation. A closing this week below 11386 will signal that we may press lower. The main support lies at 11170 and a closing for the week beneath that would warn of a retest of 107-108 area.